PDXX POW! Presents: Thor. 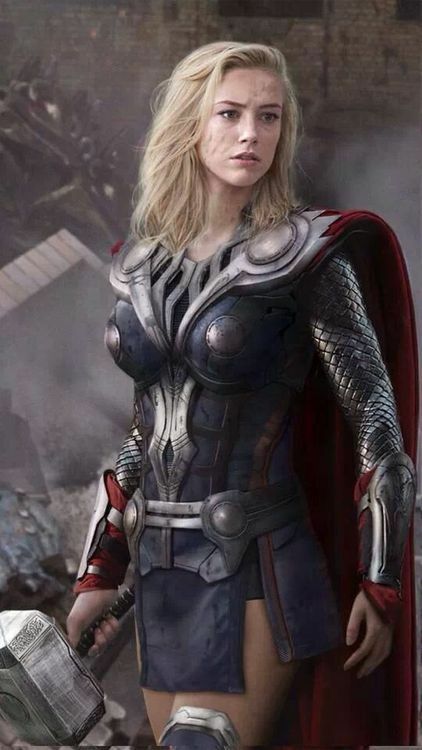 She be Worthy. Our favorite Norse God is now a Goddess. 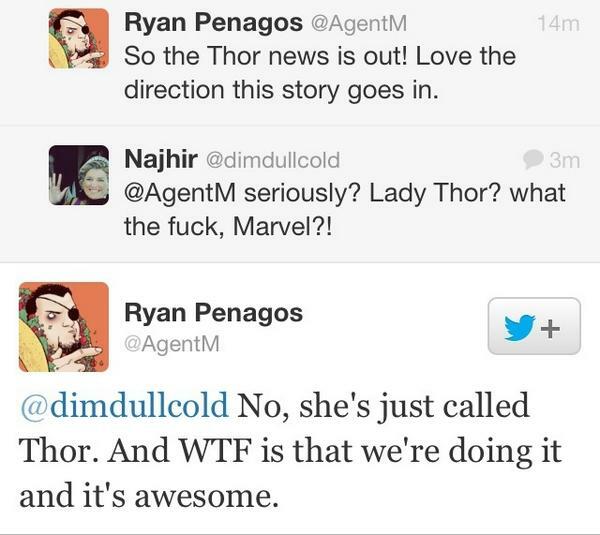 The next storyline of Thor will feature Thor as a woman. As you might expect, reading the comments on Twitter and on the direct announcement from Marvel.com and on The View somewhat resembled what might happen if someone put snakes on a plane. But as far as my quiet office goes, my unprecedented, loud, and questionably appropriate happy dance didn’t occur until I read the response by Ryan Penagos, Executive Director at Marvel. The last few weeks have lit my Feminist/Comic-ish Twitter/Tumblr feeds up like dazzling rainbow fireworks. After having experienced my first instance of territorial marking after the release of my last article, it was quickly outshined by a new Batgirl design that is both surprisingly inclusive, friendly, and fun. And today, Marvel steps up to the plate with this bombshell (pun intended). Several fans have questioned the gimmickiness of this move. It’s not out of line to be standoffish when one of the big two offer up a supreme title to the ladies. She Hulk has undergone some pretty hurtful scrutiny lately, among many others. Sometimes the offerings feel more like a kick in the stomach to feminism than someone sincerely holding the door open. Let’s be clear; This is not the first time a woman has wielded the hammer. 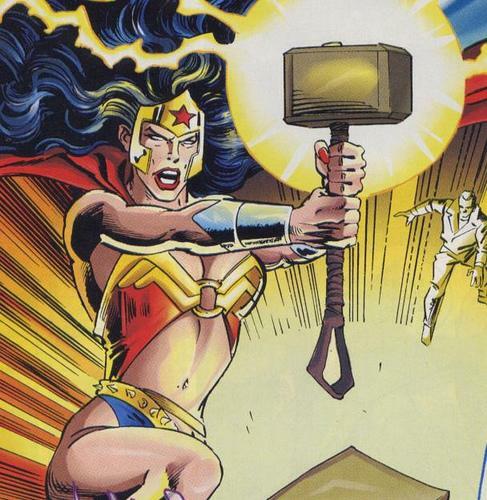 Our girl, Wonder Woman lifted the mighty Mjolnir during a Marvel/DC Crossover. Storm has also wielded Mjolnir. 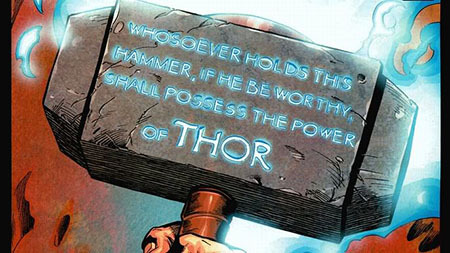 But this is the first time where Marvel will feature a complete arc regarding Mjolnir’s beholden as a woman. But more importantly, as Thor. This is also not the first time comic characters have swapped genders. Thor’s own brother, Loki, did a stint as a lady as well. And must I mention all the times us ladies had to disguise ourselves as men? So why did Marvel decide to make this move? However, shadows of politics are present. Comics are fantastic stories, but we shan’t forget they are also a booming business. According to Comics Beat, women make up 47% of all comic fans. With a formula featuring leading ladies in main titles leading to a jackpot (Captain Marvel, Red Sonja, Wonder Woman, Bat Girl) why not follow this formula with a story line which indicates that not only are women good enough to play with the big boys, but that in some cases, they are, in fact, better?